With the beginning of another week we have the Nintendo Download update details for Europe, letting us know what download goodies that are on the way soon. This week's most notable arrival is a Level 5 RPG that is a phenomenon in Japan, though the overall download update is packed with options. We have quite a few promising downloads, some DLC on one of 2015's best eShop games, a New 3DS Virtual Console release and more besides. Let's get to it. Mini Mario & Friends: amiibo Challenge (Nintendo, free) - A rather charming-looking release that gives a free-to-play twist to the Mario vs. Donkey Kong franchise. This time around you need amiibo figures to unlock stages, with each having their own special abilities; Mario can wall jump, Yoshi can eat enemies and so on. We'll get chummy with our amiibo and bring you a review soon. Lost Reavers (Bandai Namco, free) - Available as a beta since 14th April, it'll land in its final form at 10am UK / 11am CET on 28th April. This is a free-to-play co-op action title in which you team up with three others to fight your way to treasures before extracting them from the area. Lots of co-op hacking and slashing is expected, and we'll see how the full experience stacks up in a review. 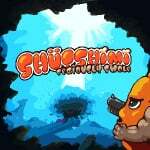 Shütshimi (Choice Provisions, €9.99 / £6.99) - A shoot 'em up in a WarioWare style with extremely short levels and plenty of chaos on screen, this also has co-op and GamePad off-TV play. It's a colourful and bonkers creation from developer Neon Deity Games, and we rather enjoyed it in our review. 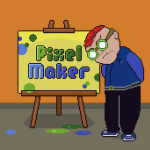 PixelMaker (Nostatic Software, €2.49 / £1.99) - Having previously brought us VoxelMaker, Nostatic now seems to be taking the same approach to producing pixel art. At a budget price this promises the ability to utilise the GamePad for producing scenes of pixel art, which can then naturally be shared to Miiverse. We'll get creative and let you know what we think in a review. Run Run and Die (EnjoyUp Games, €3.99/ £3.59) - A simple runner designed to make you rage. There are 24 levels in total, some riffing on old consoles, and you simply press a button or tap the GamePad screen to make the auto-running penguin jump. Levels switch angle and you're expected to die a lot, so this one is likely pitching for YouTube fame. We'll p-p-pick up this penguin and write a review. 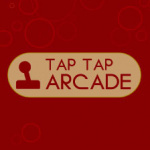 TAP TAP ARCADE (RCMADIAX, €1.99/ £1.79) - This is a compilation download that includes both DON'T CRASH and SPIKEY WALLS. A nice idea, though as we're not fans of the actual included games we weren't particularly positive in our TAP TAP ARCADE review. Mini Mario & Friends: amiibo Challenge (Nintendo, free) - The same as the Wii U release, just extra mini courtesy of the smaller screens. 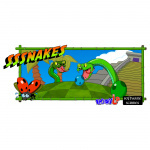 Sssnakes (EnjoyUp Games, €1.99/ £1.79) - A modern riff on Snake, the classic game that originated (as a concept) in the '70s but shot to prominence on early Nokia phones. This title aims to add modern touches to the formula of eating and avoiding your own tail, with the ability to 'shoot', multiple snakes on screen and varied environments, along with online leaderboards. We'll sssee what it's like in a review. Castle Conqueror EX (CIRCLE Entertainment, €3.99) — Already released in Europe last year, this is likely included for a German release. Super Punch-Out!! (Nintendo, €7.99 / £7.19) - The latest Super NES game on the New 3DS is another that's much loved; this successor to the iconic NES original was a true leap in visuals and style, with even more outrageous foes. Colourful and manic, this is certainly a lot of fun - we gave it a strong recommendation in our Wii U Virtual Console Super Punch-Out!! review, and will take another look on New 3DS. Yo-kai Watch (Nintendo / Level-5, €39.99 / £34.99) - This series has become a phenomenon in Japan and arrived in North America late last year, with the anime series and toys also contributing to its success. It'll now try and repeat the trick in Europe, with its twist on battle mechanics and collecting Yo-Kai raising similarities to Pokémon while, undoubtedly, forging its own identity. Though it falls short of being great we gave it a recommendation in our Yo-kai Watch review. Available from 29th April. SteamWorld Heist: The Outsider (Image & Form, €4.99/ £4.49) - This expansion brings some new story and a mysterious new character, as recently teased by Image & Form. A new playable character, missions, weapons and hats are all promised as part of this expansion, and we'll bring you more as Image & Form makes its announcement. May as well try mini mario and friends since i have the amiibos already. Keeping money for pocket card jockey next week. Great demo! Lost Reavers and Mini Mario, probably also Tap Tap Arcade - I can imagine myself getting stuck on DON'T CRASH. Are we gonna see any voice chat in lost reavers? Some tempting stuff there, but... My backlog awaits! I'll get Mini Mario. I don't usually even bother downloading free to play stuff as there's enough good games out there, so why bother with time wasters? But I love the Mario and DK series. I'm giving up on Wii U VC receiving anything I actually want, bring on the NX with the rumored streaming service. I'll get SteamWorld DLC, Mini Mario and possibly Tappingo 2. Happy with the Steamworld price and as I hit the game discounted at the start and absolutely loved it, I'll happily get. May replay in hard first though. Such a good game, all the f2p stuff as well, also tempted by super punch out, I have the Wiimake but have been loving Snes nn3ds games, being a sega kid until the n64 it's a great reeducation! "Yokai Yokaiii Yokaiiiiii Watch chi cchiiiii...."
Wow that's a really disappointing week though I'm really not surprised. @Piersen Or Secret of Mana which has been released on Wii. Still, I don't get why Nintendo is charging us twice. Will this new "amiibo experience" be disappointing like lacklustre Amiibo Tap: Nintendo's Greatest Bits? Or is it a time waster like Nintendo Badge Arcade? Or will you have to pay like on "free" Pokemon Picross? In spite of its terrible music, the only free game I keep on playing is Pokemon Shuffle. Well, I guess I have to give this new amiibo experience a go and see what can I do with my very few amiibos. Just Mini Mario & Friends, if I recall correctly I own all the required amiibo for the full game except Diddy Kong. @VanillaLake It's basically Splatoon's amiibo support but on a way more extreme level (most of the game is locked behind multiple amiibo). EU not getting Wii U VC game this week gives NA a chance to catch up. @Grumblevolcano Yeah, well, as I only have a few amiibos I don't know if it's designed for those of us. Will Wolf Link be supported? I doubt it, it does not work like a regular Link amiibo. Damnit! I'm moving house and have already packed up Steamworld Heist. A brilliant game, more content is very welcome. I assume it will be included when the game launches on other systems? Awesome that Mini Mario & Friends: amiibo Challenge is coming to Europe as well this week! I pretty much forgot about Yo-kai Watch. Which says a lot about how long it took for the game to come out in the west. I took for granted that there wouldn't be a Nintendo Download update today due to a national holiday, until I remembered it's exclusively an Italian thing (not to mention it'd be super awkward to mention the 25th of April in Germany). Already imported Yokai Watch and am half-way through so nothing for me this week. I'll download Lost Reavers,Mini Mario & Friends for Wii U and,maybe, Epic Dumpster Bear. Physical copy of Yokai Watch for me, been really looking forward to it. I'll download that Mario/Donkey kong amiibo game as well, seeing as I've already got all the amiibo I'll need to get full use out of it. Just as I predicted: Mini Mario in Europe this week without any prior announcement. @TromaDogg What are the compatible amiibos? Lost Reavers and Mini Mario. Where's Shütshimi in the list, and is it worth 9,99? NOE is much better with eshop releases than NOA. Reggie needs to be fired and replaced by someone more competent. Yokai Watch is pretty great, guys. There's a lot more info on t'net now that it's been out awhile, taking some of the frustration out of it ie. maps, food and such. What amiibo do you need for Mini Mario? @Piersen Better get the DS game card, it is often among Square's special sales. Lost Reavers Beta is pretty awesome, unless you have to pay to win in the full game I am probably gonna sink a few hundred hours in it. In addition, there is a main path that the exclusive worlds branch off from that any Amiibo can be used on. You will not see everything in the game unless you have all the Amiibo, though. It's a pretty meaty game but Amiibo make it very costly. There's quite a bit to do and there's also additional unlockable levels and worlds that utilize the exclusive Amiibo in harder challenges. Yay, Europe is finally getting Yo-Kai Watch. I'll grab it at some point, but I might wait a while since I'm playing too many games at the moment. Also, great to see that Europe will also get to enjoy Mini Mario Amiibo Challenge. I'll download that this week. @Zach777 Thanks for the info. I'll pass as I just have a few amiibos and I will not buy any more. I was starting to grow concerned about Mini Mario and Friends, given the complete silence by Nintendo of Europe on it. Glad to see it arriving on the 28th. Shütshimi for me, but it's not in the poll? Still waiting for Whoah Dave! Where are you Dave? Oh and Mini Mario even though I've not completed the Tipping Stars DK game. 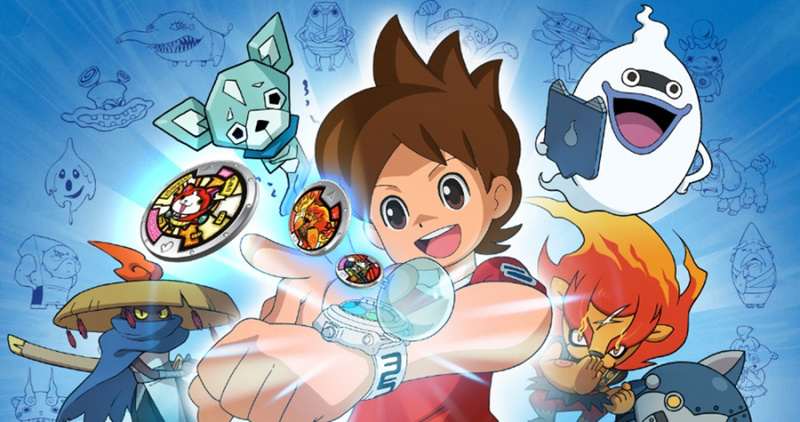 I really want Yo-Kai Watch but there are so many games at the moment! I might hold off on it for a while, as I don't think it will be too hard to find physically. It's still nothing short of mind-boggling that DKC3 wasn't released alongside its series-mates during the hype period for N3DSNES, nevermind as part of the subsequent pathetic trickle the release schedule has been reduced to now. Swing and a miss, Nintendo... swing and a miss. I am glad to see they're not stopping with the N3DS SNES VC after the first set of announced games. Will Doctor Mario work on Mini Mario Amiibo friends? Mini Amiibo Challenge x 2, Lost reavers, Steamworld Heist DLC and Secret Files for me this week. @bouncer0304 agree about pocket jockey. Loving the demo! @InfernapeKing97 Any version of Mario will work; to answer your question, yes. wait a minute, how did you guys found out the European price for the SteamWorld Heist Outsider DLC when Image & Form didn't even shed some light on the price tag for it as of yet? any word on the US price tag as well? The only compatible amiibo I have is Yoshi if Yarn Yoshi works, then I have three of them (green, blue and pink). Wolf Link does not work for sure. Is really that bad? I have not download it because my Wii U memory is almost full and this one takes some GB. Already imported an NA copy of Yokai Watch back in March but I'll probably pick up an UK copy come summer (as it'll be nice to play on my main 3ds) anyway. Few weeks break for my wallet then til Disney Art Academy & Valkyria Chronicles release next month - gives me time to finish off Ratchet & Clank & continue making my way through an rpg trio on the 3ds of Bravely Second, Stella Glow & Return to Popo'. Yuss! Can't wait for the SteamWorld Heist DLC! Might pick up Tappingo 2 for that price too and might as well grab that free amiibo thingy. Would love to give Yokai Watch a go, but the timing is really bad with Fire Emblem around the corner, all three of them! Really hope to get around to it later as I liked the demo and enjoyed the Yokai designs very much. Still, Mini Mario and Friends looks cool and is free, so I'll get that. Why would Yokai Watch or Lost Reavers tempt anyone? Just under 3 weeks until Uncharted 4! Picked up Valiant Hearts and Rogue Galaxy, any Nintendo games I kep are serving the backlog (so Eternal Darkness replay and the original Luigi's Mansion, for the moment). @NodesforNoids Because Yokai Watch is a portable fun Pokemon style RPG and Uncharted 4 isn't? You're literally comparing apples and oranges. I do have Uncharted 4 preordered but I am concerned that it's going to be all cutscenes and presentation over actual gameplay. The last trailer I saw had zero gameplay footage in it. That does not exactly get me excited. I really liked Uncharted 1 & 2 but I found Uncharted 3 and even The Last Of Us a let down because they were more about the style over the substance. The Last Of Us in particular is pretty much the Emperor's new clothing of gaming, with a lot of people scared to say anything negative about it because of all the perfect scores it got despite the fact that the actual gameplay in it is pretty dull for the most part. I'm more looking forward to Mirror's Edge Catalyst, to be honest. Because Yo-Kai Watch is well designed, well written game with good music and really good graphics (esp. for 3DS!). Not this week either it's all crap. 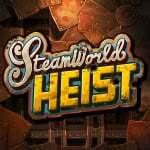 I was thinking about Steam World Heist but with the added content bringing the cost up to £20. This seems expensive for a non physical game, due to the fact it has no value after it has been played. Charging £15 for the game and then £5 for the additional content; it would be interesting to know if the extra content equates to a third of the original games content. @Sean_Aaron Thank you for your impressions.